Fractionalized modes: The Kiteav model with anisotropic exchange on a honeycomb-like lattice predicts the existence of topological excitations with fractionalized quantum statistics. Such modes have recently been predicted and now observed experimentally in quasi-3D coordinated Iridium oxides, see Nature Commun., in print (2016). Editors Choice... Evidence for a Z2 quantum phase transition from a dimer to a resonating valence bond state driven by singlet fluctuations. The rich spectrum of singlet bound modes is attributed to a melting of a dimer crystal, see Phys. Rev. Lett. 110 (2013). Surface engineering of various nanoparticles (NPs) is of growing interest and an important step to induce/control optical and/or catalytic activities. Here we report a top-down fabrication methodology to modify a model ferrofluid with parent NPs sizes of about 23 nm. The surface engineering involves ligand exchange and simultaneous phase transfer, and core etching, resulting in a reduction of particle diameter to about 5 nm. We have used the functionalized NPs for the photodegradation of biomedically important jaundice marker bilirubin in aqueous solution. 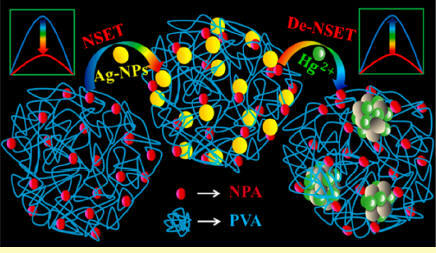 Overall, the results represent a promising route for the fabrication of NPs adaptable to diverse applications, see Journ. of Phys. Chem. C (2014). Charge migration along DNA molecules is a key factor for DNA-based devices in optoelectronics and biotechnology. 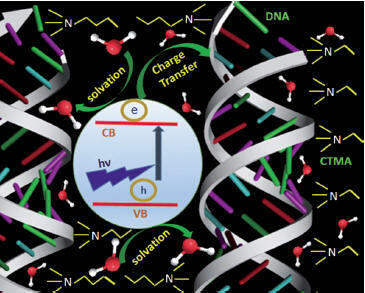 We have investigated the role of water molecules in DNA-based materials for the intactness of the DNA structure and their dynamic role in the charge-transfer (CT) dynamics. This study uses time resolved optical spectroscopy and is based on a collaboration between groups from Kolkata, Idia and the TU-Braunschweig, see Chemistry, An Asian Journal (2014). In the giant Rashba system BiTeI as well as in topological insulator there exist an enhanced quasiparticle dynamics of quantum well states. This is due to a time dependent band beneding leading to a surface confined quantum well state. Topological insulators and Giant Rashba system share a very similar surface chemistry and strong spin orbit coupling of bulk and surface states. However, they have a different symmetry in the bulk. 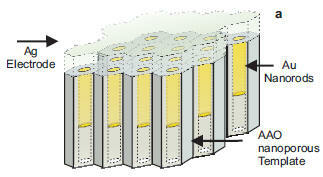 This leads to a different symmetry of electronic Raman scattering, see PRB. A novel solid solution (Co1-xNix)3Sb4O6F6 with a pseudo kagome structure can be taylored with respect to its physical properties by changing its composition. This systems can be used to better understand the interplay of dimensionality, anisotroy and magnetism within one crystallographic structure. This is a collaboration between groups from Stockholm, Houston and Braunschweig, see Chem. of Mat., (2014). The novel oxofluoride Cu7(TeO3)6F2 shows features of both zero and one dimensional magnetism. This is due to an interplay of composition that contains fluorine ions as well as the lone pair element Te with the electronic configuration of the Cu 3d orbitals. In contrast to many other compounds the fluorine terminates the magnetic exchange path. Te with its lone pair electrons opens up the structure like a scissor. The alternation of different Cu orbitals (see right figure) has a further important consequence for the exchange from one Cu2 sites (brown plaquette) to the other. As a result low energy fluctuations exist in a broad temperature range. This is a collaboration between groups from Stockholm, Houston and Braunschweig, see Inorganic Chemistry, (2014). Dynamic lattice distortion and spin fluctuation cooperate in the spin liquid phase of a low-dimensional compound nitrosonium nitratocuprate. This system has been proposed to be a model compound for the resonanting valence bond ground state (RVB). Our data, however, point towards a structural instability at low temperatures that freezes out spin correlations by an excitation gap (Phys. Rev. B 85, (2012) and cond-mat). The magnetoelectric compound Cu2OSeO3 shows a state with an inhomogenous spin polarization called SKYRMION phase. These objects are topologically protected and form a superstructure that can be investigated by small angle neutron scattering. The skyrmion phase in an insulator with coupled dielectric-spin degrees of freedom allows new applications in the field of spintronics (Phys. Rev. Lett). Frustrated quantum spins realized by transition metal ions in solids form states of matter with novel properties. We show how a modification of the chemical composition in zinc paratacamite can be used to tailor its magnetic properties from a spin liquid to a spin glas (Phys. Rev. B and cond-mat). Molecules that consist of three Cu ions and are arranged in a lattice (freestanding porous silicon) realize a novel hybrid material. It provides a promising scheme for implementing spin-based quantum gates. By measuring the spin relaxation times of samples with different symmetries and environments we give evidence that a spin chirality is the main decoherence source of spin triangle molecules (Phys. Rev. Lett.). Topological insulators allow collision dominated scattering with spin-helical symmetry. This scattering is due to fluctuations from Dirac to bulk states of the compound despite topological protection. The scattering rate is determined from the position of a maximum in the RL scattering component as G=40cm-1 (Phys. Rev. B). 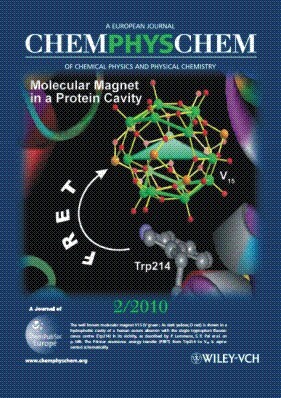 Magnetic molecules can be tuned by a confinement in the nanocage of a Protein, (Chem Phys Chem).